A natural division when speaking of Michigan is the Upper Peninsula, a swath of largely wooded land jutting out from Northern Wisconsin, and the Lower Peninsula, a mitten-shaped piece of land between the Great Lakes of Michigan and Huron. The two peninsulas meet at the Straits of Mackinac and are connected by the Mackinac Bridge, the third longest suspension bridge in the world. Michigan has the longest freshwater shoreline in the lower 48 states, and factoring in fresh water area, Michigan passes both Georgia and Florida as the largest state east of the Mississippi. An incredible 41.3% of the total area is fresh water. Michigan's pre-European history was a loosely-based confederation of tribes, the most populous of which were the Chippewa in the Upper Peninsula. The first settlement was a French mission established by Jacques Marquette at Sault Ste Marie. The French lost their claims to Michigan after the French and Indian War, and the British passed on the possession to the U.S. after the Revolutionary War. 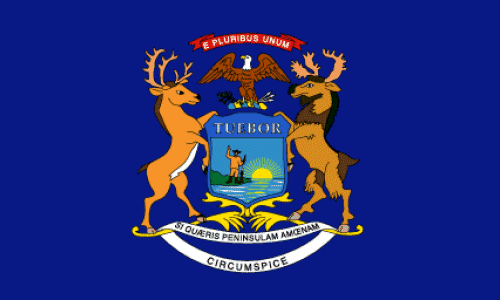 Michigan was slow to receive statehood however because of disputes over the strategic city of Toledo with Ohio. In one of the few instances of 'state conflict' in American history, militias in both states began maneuvering against each other in what became known as the Toledo War. Congress ultimately sided with Ohio, and Michigan was admitted to the Union as the 26th state on January 26, 1837. 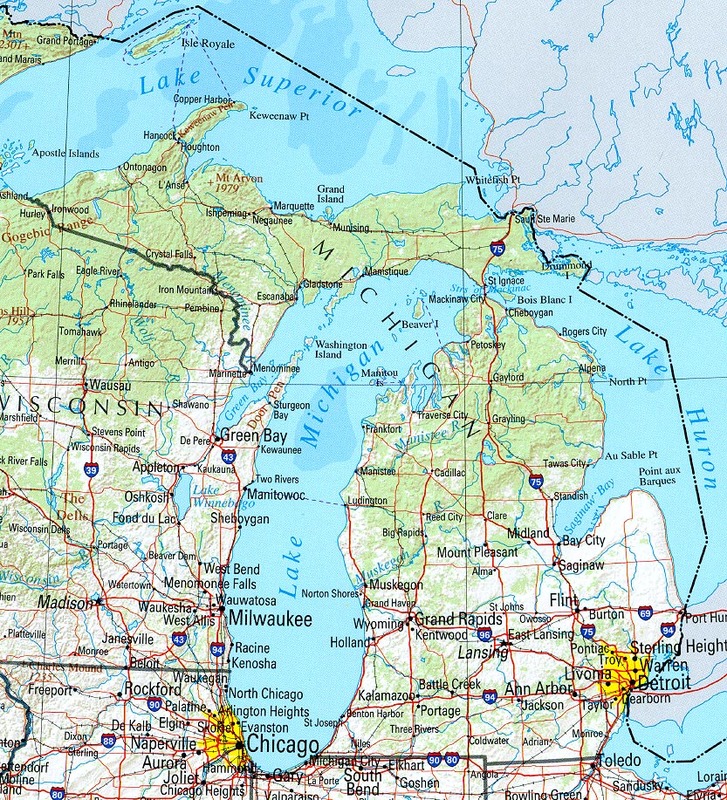 Michigan has the 8th largest population in the U.S., the vast majority of which is located in the Lower Peninsula. Detroit is the largest city in the state and considered one of the most racially segregated cities in the U.S., with massive suburban outflux by the White population, and with over 80% of the population in the city limits being African-American. Metro Detroit also has the largest population of Belgians outside Belgium, a significant Arab-American community, and a booming Chicano community is southwest Detroit. The city itself has decreased in population on every dicentennial Census since 1960, and, on the 2000 Census, dipped below one million for the first time since 1920. Other important cities include Grand Rapids, a furniture and automobile manufacturing center; Flint, the birthplace of General Motors; Lansing, the state's capital; and Ann Arbor, home to the University of Michigan. Auto manufacturing has been the backbone of Michigan's economy throughout much of the 20th century, with General Motors, Ford Motor Company and DaimlerChrysler all having headquarters in Metro Detroit. When the auto industry suffers, the immediate effect is felt in much of Michigan, with a general economic downslide persisting in the region as the American auto industry continues to slim down in the face of foreign competition. Michiganders tend to lean left politically due to the state's industry and union heritage, though in 2004, the state's 17 electoral votes were only narrowly won by John Kerry, by a margin of 3% points.